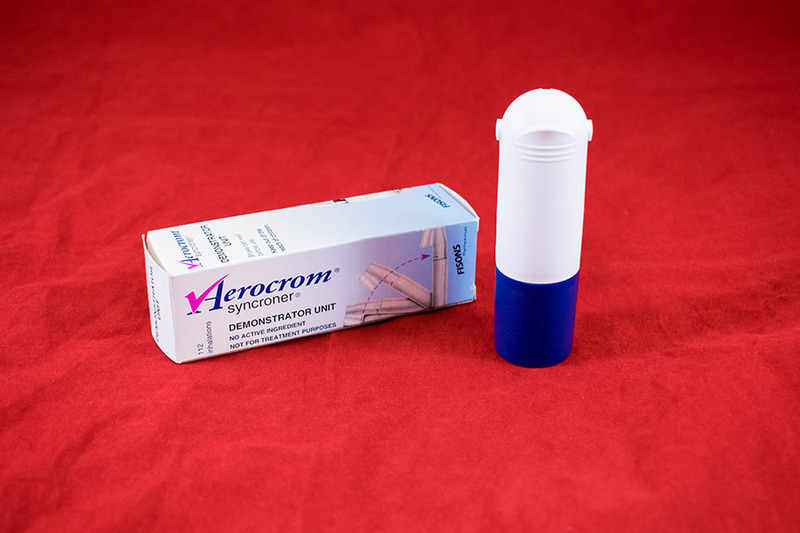 Demonstrator unit of the "Aerocrom Syncroner" inhaler. 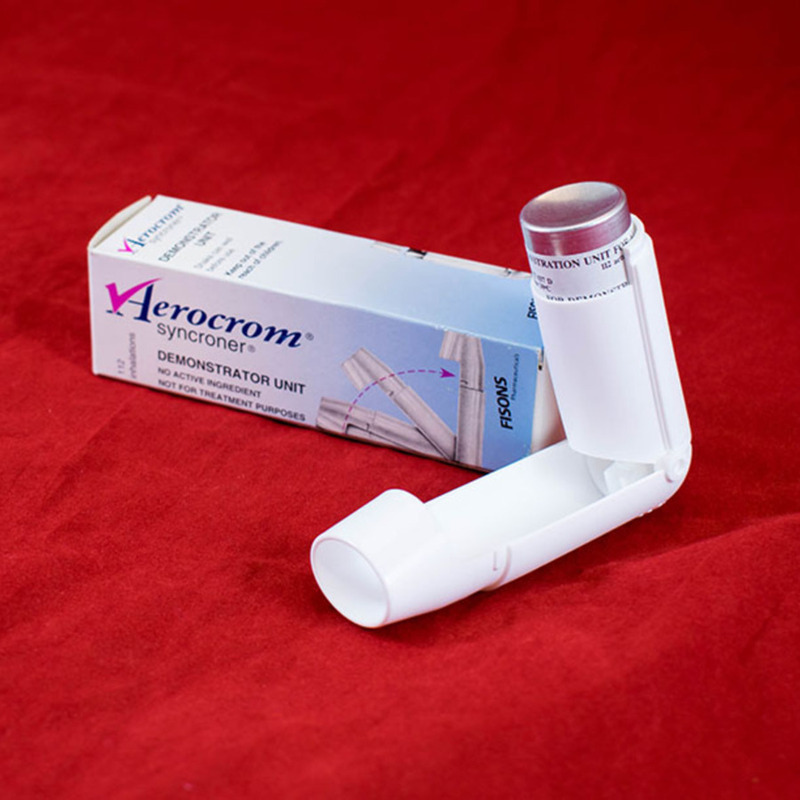 This metered-dose inhaler (MDI) includes a built-in spacer so the inhaler can be used without the need for an additional spacer. In a cardboard box. 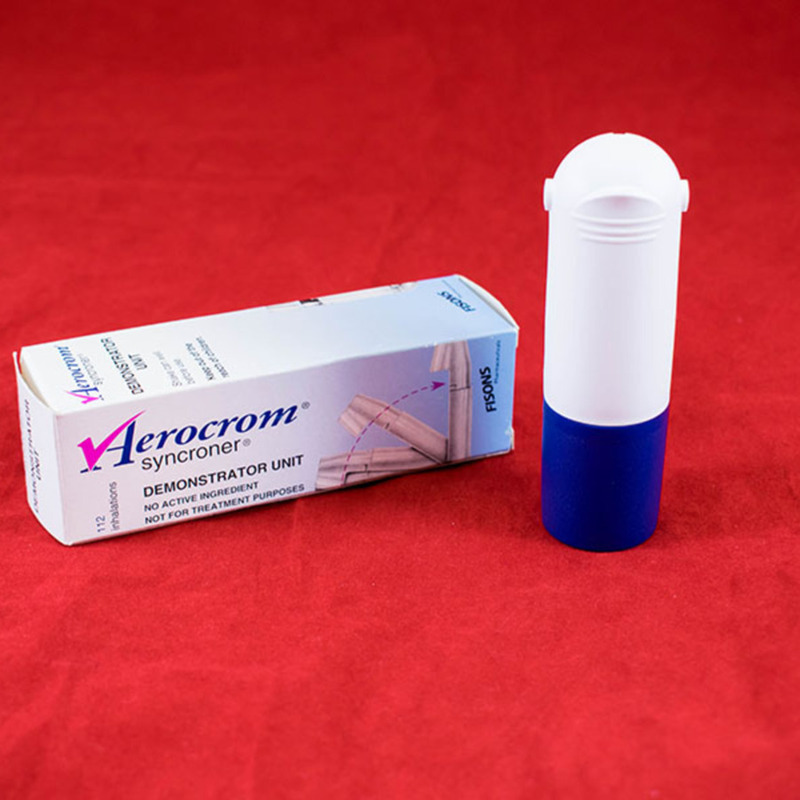 Fisons Pharmaceuticals; 1843-1995; Pharmaceutical company, “Aerocrom Syncroner,” Heritage, accessed April 20, 2019, https://heritage.rcpsg.ac.uk/items/show/1055. 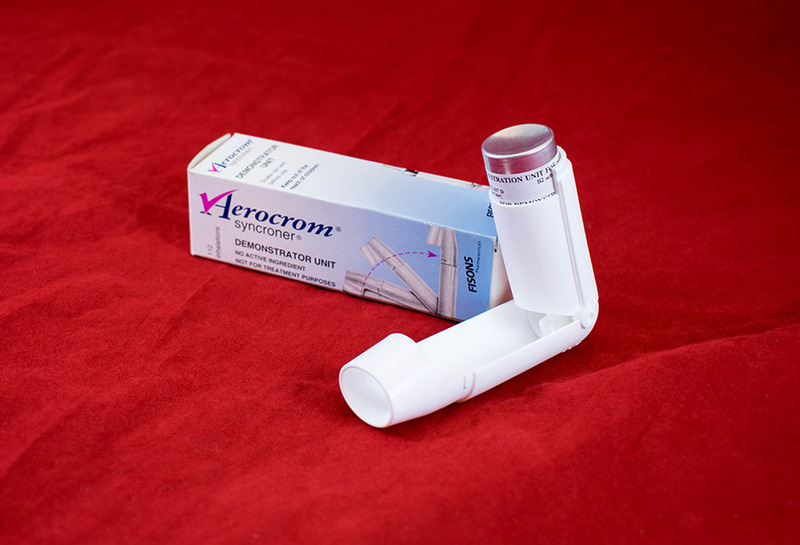 Description: Demonstrator unit of the "Aerocrom Syncroner" inhaler. This metered-dose inhaler (MDI) includes a built-in spacer so the inhaler can be used without the need for an additional spacer. In a cardboard box.